Y’all, I’m loving this IKEA hack that Jody pulled off of her Lack table. Talk about fun in the play room!! I picked up a couple of these IKEA side tables at a yard sale for only $7 for the pair, I knew I wanted to turn them into something fun for the kids but wasn't sure what so they have hung around for about a year waiting to be used. 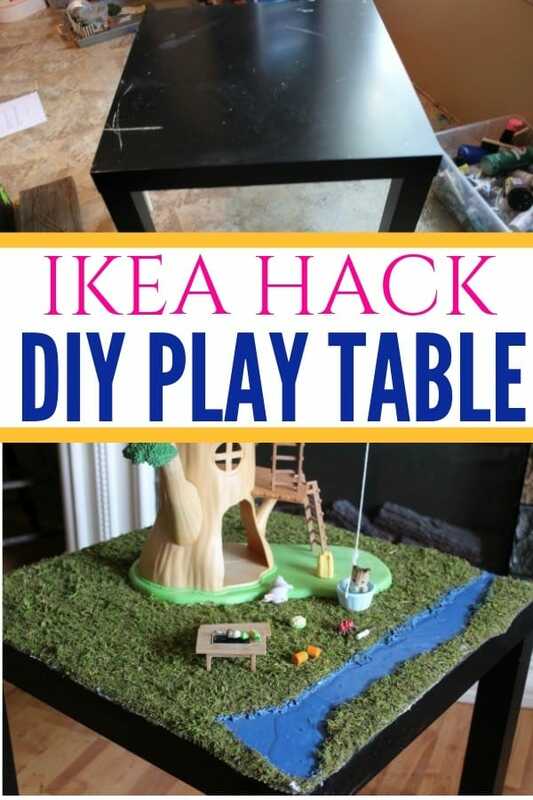 Then we needed a place for my little girl to play with her indoor fairy garden items, calico critters, and TOOB creatures so I pulled on aside for just that and here is what we came up with for our IKEA hack of the Lack table. Clean the top of your table well to remove dust, etc… This is the IKEA Lack Table-You could modify to fit flat-toppedpped table you find or have on hand though. Pardon the mess in my craft room/office I was busy creating! 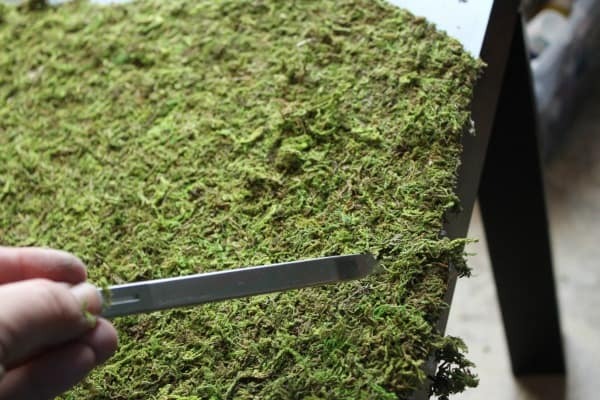 Cut your moss to fit the top of your table, trim the edges as needed to give a clean finish. 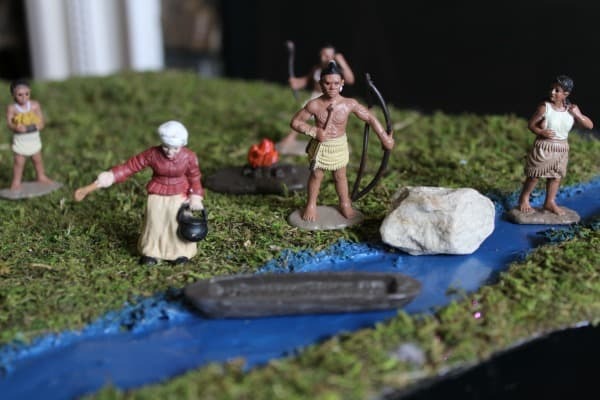 Use the razor to cut a pond or small stream shape from your moss wherever and however you like it. 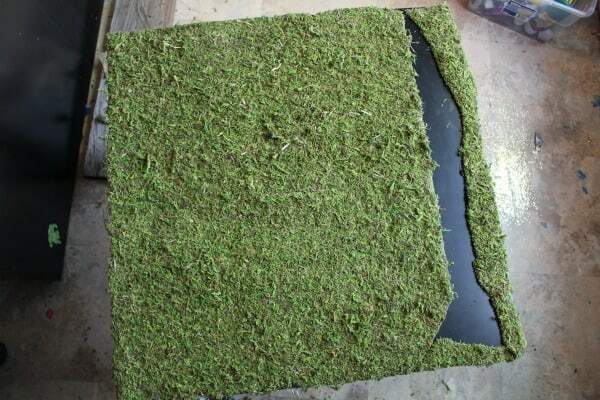 Now that you have the moss mat cut to fit you can secure it down. 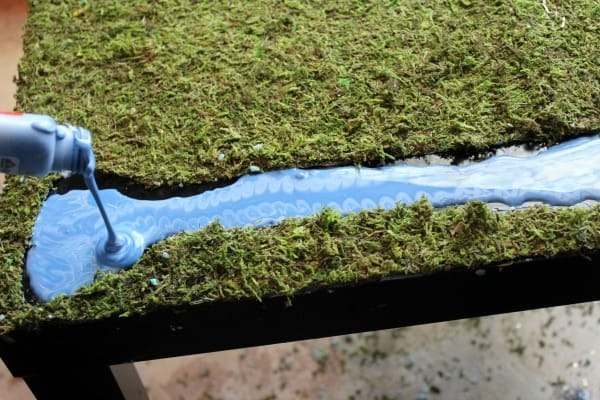 Spray the back of the moss mat and the table top well with spray adhesive to coat completely. Quickly press it down into place, be sure to get it all smoothed out. Allow to dry. 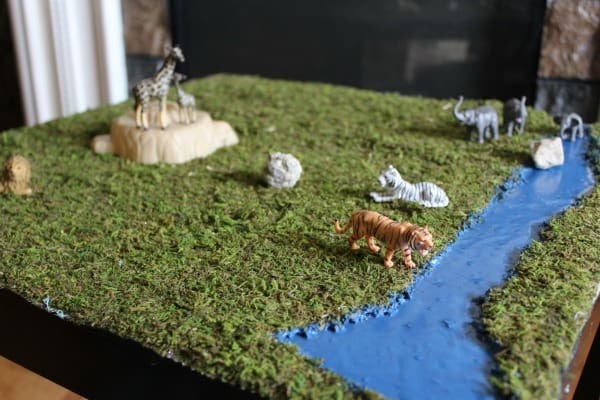 To make the water of our stream I used a bottle of craft/school glue that was about 3/4 full and added blue craft paint, shaking well, and adding paint until I reached the color I wanted. Carefully pour it into the center of your cut out for water until it is filled, but not overflowing on your grass. Use a craft stick to help gently spread if you need to. I poured a thin layer, let it gel over slightly and added another thin layer. I let mine dry for 48 hours to be sure it was solid before play. 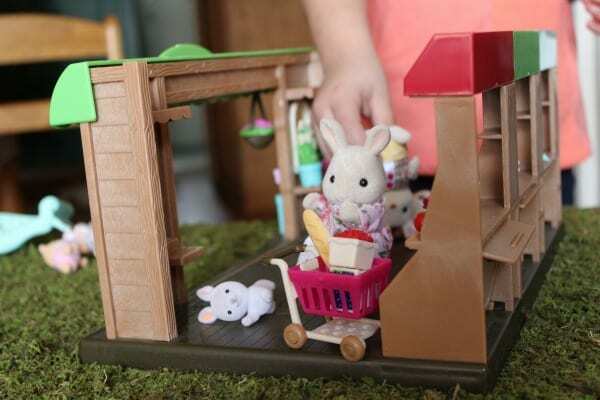 That's it, your play table is ready to go and can be used in a variety of ways. What a great way to reuse an old/unwanted piece of furniture. Fun for the family, friendly for the environment! Oh wow! This is so cool! Such an awesome idea! I have to try this soon! How cute! I love that you can use it with so many different toys. Such a fun idea! 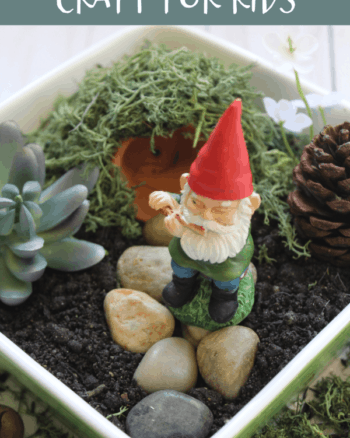 My daughter just got a fairy garden and this would be perfect to play indoors too. I absolutely love this idea! 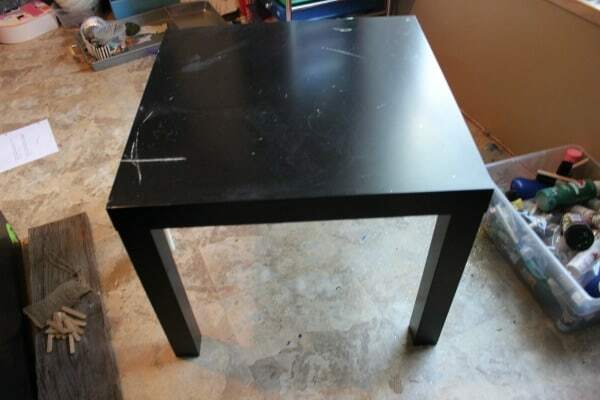 We actually have 2 of these same Ikea tables in our home. When we decide to get rid of them, I’ll definitely repurpose for the kids instead. This is really clever and unique ideas! I’ve never thought this before Such an amazing work! 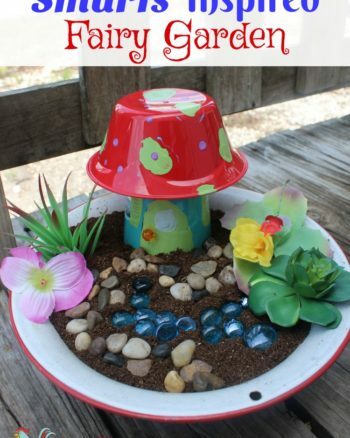 This is such a fun idea and it looks so easy to make! Thank you for sharing. This is awesome, you are so creative! My kids would love this! I love this so much! Such a great idea! I’ve seen these tables turned into lego tables (I almost did it myself) but never into something like this. My youngest would love to have a table like this! Super cute! My girls would love this! So much imaginative play. Great job! 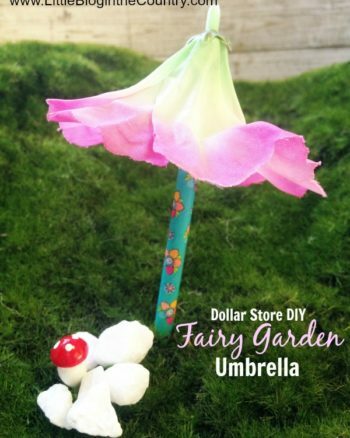 This DIY trick is very artsy and nice. I love this playtable. The possibilities are endless! Oh my goodness! This is sooo cute and so creative. 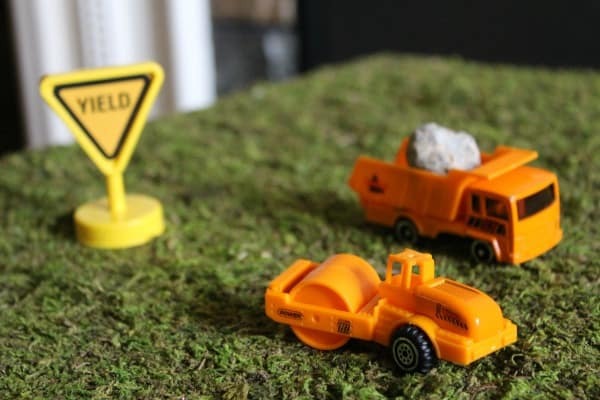 My nephew would LOVE this! This is such a fun idea! I might have to try something like this for my son, I’m sure he would love it! My little girl would love this so much. I just got rid of the boys train table so we have space. This is an amazing idea, I love that it’s affordable and easy to do! 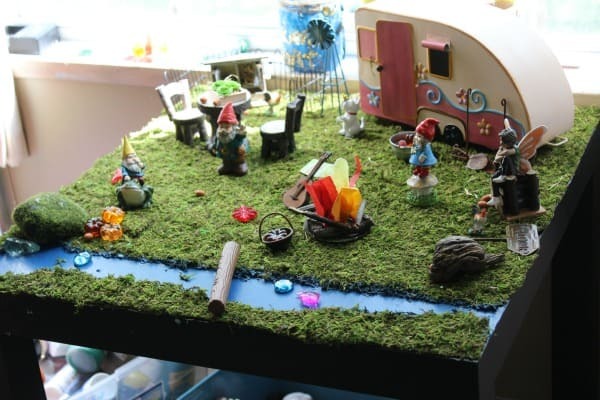 I can’t wait to head to our Ikea and do one for my kiddo’s Im thinking a farm theme. This is such a great idea! 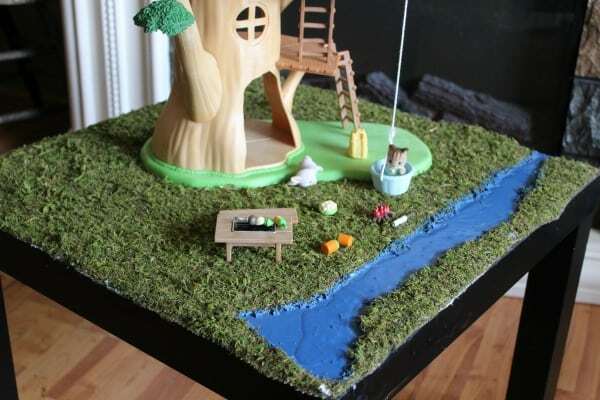 Might have to use your tutorial to make one for my daughter!